Debonair Property Management has been a dream of CEO, Director Skye Bartlett for many years. Skye comes from a distinguished Geelong real estate family. Her grandfather Syd Thomson was CEO of one of Geelong’s leading real estate companies for over 50 years. Skye learnt the business under his expert guidance and is the third generation of the Thomson family to be a CEO of a real estate company. 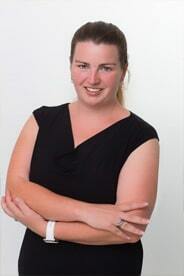 She is a Licensed Estate Agent and is experienced in all facets of the property management industry. She brings to the position of CEO, Director and Senior Property Manager, over 15 years’ experience and an incredible enthusiasm for property management. Skye is dedicated to managing your major assets to maximize your asset security and investment return. Investment property clients can feel secure in the knowledge that their valuable asset is in expert hands with Skye at the helm. She is committed to having a highly trained team who are up to date with the latest advances in property management and is constantly seeking to further their and her qualifications through ongoing training and attending industry conferences. Away from work, Skye is busy raising two very active children and spending time with her family. Libby is a Licensed Real Estate Agent and brings to the company over 35 years’ experience in the real estate and building industry. 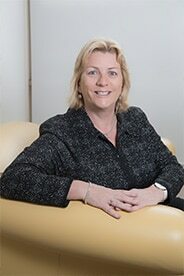 She established the property management portfolio at C J Keane & Co in Corio in the early 2000’s and within two years she had increased the portfolio to over 250 properties. She worked in the family real estate business as a Director at CJ Keane & Co for over 8 years before becoming head of the property management department over seeing just under 3,000 properties and a large property management team. Under her direction the property management portfolio was the largest in regional Victoria. Libby has worked in the property development industry exclusively for the past five years after a change of ownership at CJ Keane & Co.
She looks forward to meeting up with past and new clients to discuss their property management requirements. Born in Geelong, Libby has spent all her life in the area and is a passionate Cats supporter. She spends her free time watching football and with her family on the Bellarine Peninsula.